*If you don't see your desired subject here, please contact us to see if we can be of assistance. Get informed and reliable source information about sports medicine and interventional pain management. 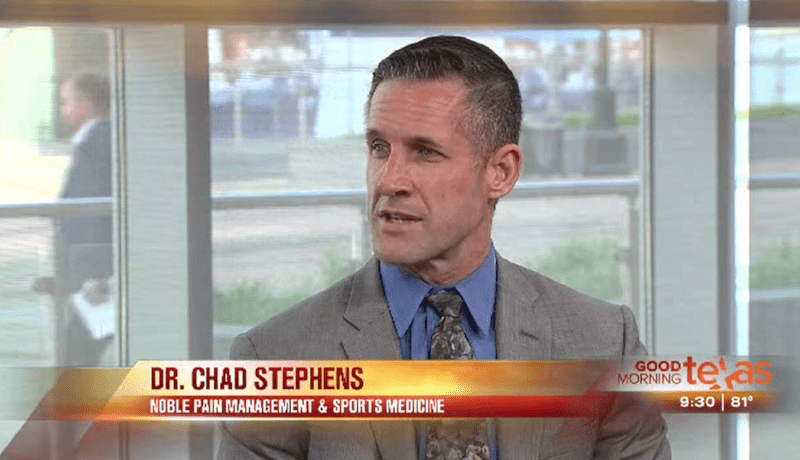 Dr. Chad Stephens is a subject matter expert on a variety of sports medicine and pain management topics. He is available for journalists working on deadline, for speaker bureaus seeking subject matter experts, and other media outlets. He is happy to discuss news, trends, and industry information. As leaders in the field of sports medicine, we’re always making the news. For your convenience, the latest articles, press releases and news appearances featuring Dr. Stephens and Noble Pain & Sports are always available in our online newsroom. For immediate access to subject matter experts and additional company information, please contact us below, or contact Carolyn Eurto (ceurto@99mgmt.com) at (817) 518-1112, ext. 207.